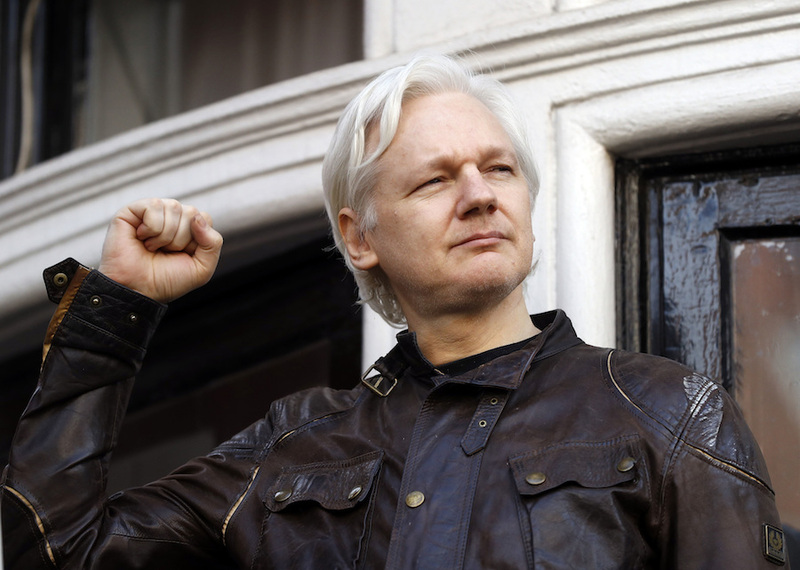 (CN) – A week after upholding Julian Assange’s arrest warrant in London, the judge denied Tuesday that it is in the public interest to let the WikiLeaks founder go free. Arbuthnot sniped at Assange repeatedly in the ruling for not showing up himself at court to raise his arguments. “The impression I have, and this may well be dispelled if and when Mr. Assange finally appears in court, is that he is a man who wants to impose his terms on the course of justice,” she wrote. If Assange leaves the Ecuadorean embassy in London, where he has been living in asylum for nearly six years, he faces immediate arrest by London police. Though Sweden revoked a European arrest warrant for Assange last year, the Westminster court issued the warrant at issue in 2012 when Assange ignored a notice to surrender for extradition. Expanding on one of the points of her ruling last week, Chief Magistrate Arbuthnot focused Tuesday on how Assange’s conduct undermines the administration of justice. Mark Summers, an attorney from Matrix Chambers who is representing Assange on instructions from the boutique firm Birnberg Pierce & Partners, failed to sway Arbuthnot with the findings of a United Nations working group that called Assange’s detention arbitrary. Mercilessly unraveling that 2016 report, Arbuthnot began by saying the working group has apparently misunderstood what occurred after Assange’s arrest. While the group made much of Assange’s 550 days in house arrest before he took to the embassy, Arbuthnot noted that Assange himself proposed this term. Further if the United States did request Assange’s extradition, Assange would have been able to raise any bars to such extradition before the London court, she added. Assange, who was granted Ecuadorean citizenship in December 2017, has been living at the embassy since June 2012 when he dodged extradition by disguising himself as a motorcycle courier. British police no longer guard the embassy 24 hours a day due to the cost, but authorities in London have said they will arrest Assange if he leaves the embassy. Arbuthnot said Assange has no one but himself to blame for his prolonged detention. “If Mr. Assange had gone back to Sweden when he should have done after he had exhausted the appeal processes in this country, the Swedish prosecutor would have questioned him, then either prosecuted him five years ago or discontinued the proceedings,” she wrote. 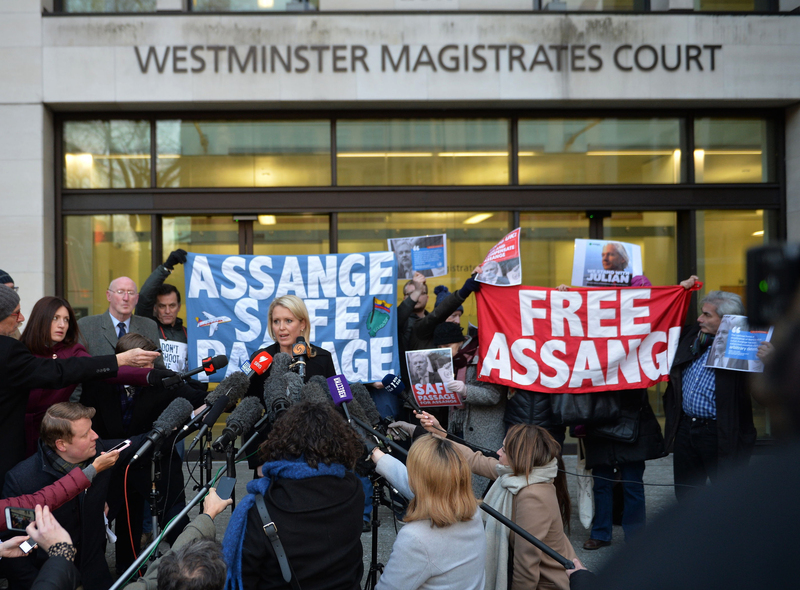 Supporters bearing “Free Assange” banners outside the court reportedly protested the judgment. Assange, who tweeted during the hearing that it was “not looking good,” noted this afternoon that his team has three months to appeal Arbuthnot’s ruling.